I took this a few days ago on our patio. 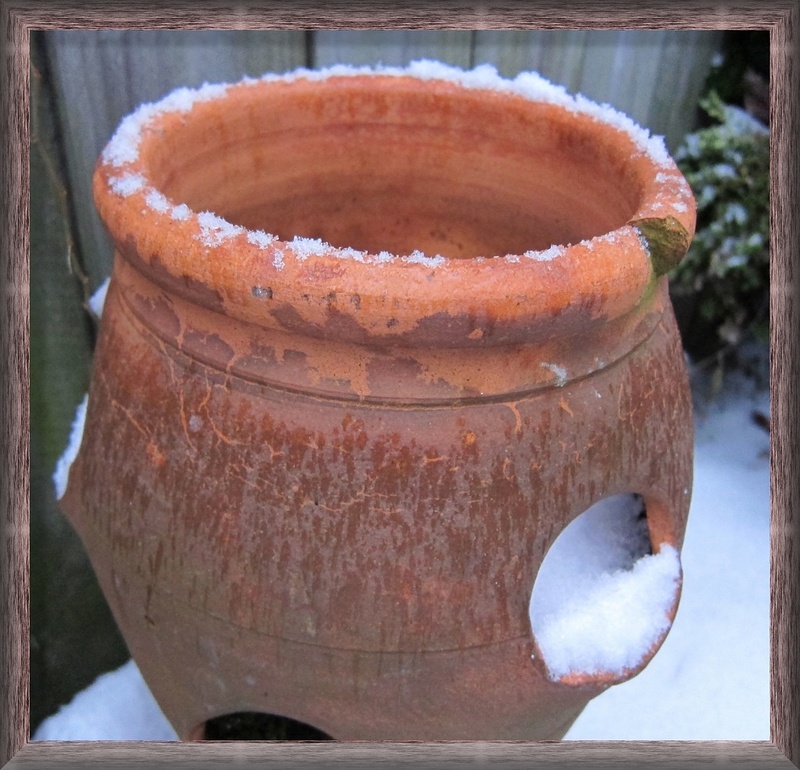 I like the texture of this strawberry pot and the wooden fence, as well as the snow frosting the rim of the pot. I agree, I too like the texture. Nice composition. I like this photo very much ... it seems to sum up the season somehow.